Try Not To Breathe is a poignant and engaging story involving the victim of an attempted murder. Fast forward 15 years and Amy is lying in hospital in a coma. The perpetrator has never been identified. Here we are introcuced to Alex Dale who is a journalist and alcoholic. She is at breaking point. While doing a story in her local hospital, she encounters Amy Stevenson who’s name she recognises from her youth. Amy had a secret all those years ago and Alex is determined to find out what that secret was and find justice for her. Although she has little control over her own life, her relentless pursuit of justice for Amy is both inspiring and hugely admirable. Her strength and willingness to help Amy gives us an air of hope throughout the book that she may somehow turn a corner in her own life. This book was phenomenal. For those who are fans of thrillers, this is the book for you. Try Not To Breathe is well researched, perfectly paced, has complex characters that draw you in, nice short chapters and flips back and forth between past and present with ease. Ultimately though, this is a story of friendship, justice, resolution and redemption. The last chapter was a masterpiece. I haven’t read a closing that beautiful and memorable in a while and I did shed a tear. What an inspiring tale of friendship. It is a reminder to us all that friendship takes many forms. 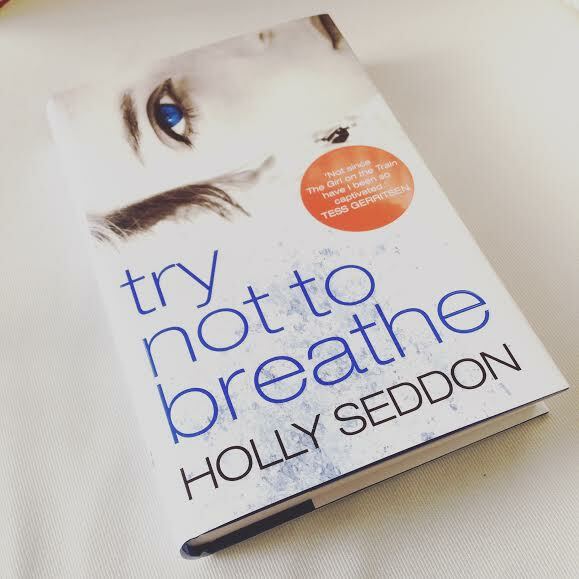 A fantastic debut novel from Holly Seddon, a name I won’t be forgetting. Impressive review Nicola, very well-written. Your work is quality stuff. I can always see that you’ve put a whole lot of effort into your posts. You’ve been really supportive of my work so I believe it’s only right that I repay the favour. That has just made my day, thank you so much.